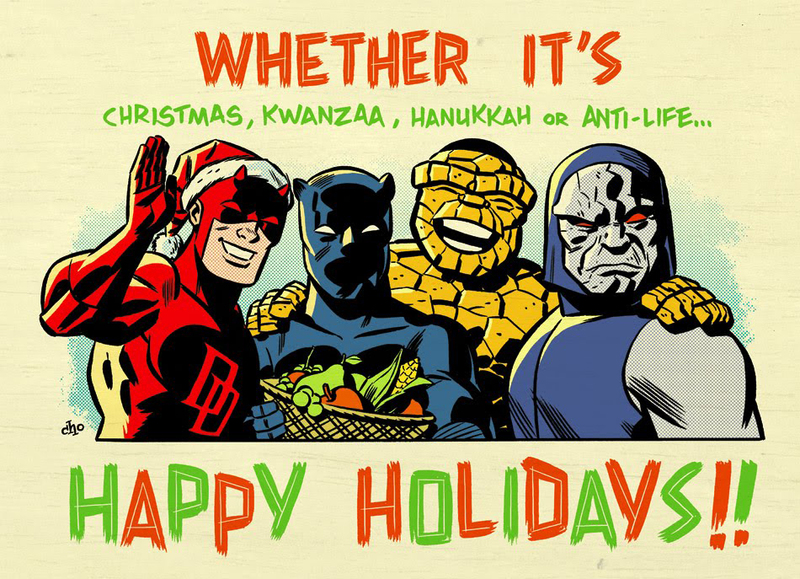 Not only does it feature ol' Hornhead, but Black Panther, Thing and the ultimate Grinch - Darkseid! How can you ague with that much Kirby? Seriously folks, I hope this festive season is brilliant for you and those close to you. While IADW will be posting right throughout to keep your holiday cheer at an all time high, be sure to pack in plenty of good eats, great laughs and even better company. HAPPY HOLIDAYS! Lol I'm betting ignorance is bliss on that one to Pensol!